Overnight fire conditions remained stable, with fire crews continuing to mop up, black out and monitor fire conditions. The fire front is approximately 20 kilometers east of Cooma and is being controlled. It has burnt out approximately 10,500 hectares in the Kybeyan Valley across Kybean Range including Dangelong Nature Reserve. Fire fighters are today preparing for challenging conditions and work will focus on property protection in the Kybeyan Valley, Hains Road, Tuross River Road and Old Kybeayn Road areas. The Brest Fire west of Shannon’s Flat is being controlled. Fire crews will continue to work on this fire today. People should expect to see increasing smoke from these fires today. A severe weather warning has seen a Total Fire Ban issued for NSW & ACT, with high temperatures, low humidity and strong winds predicted for the next 48 hrs. The fire weather warning has been increased to a ‘Watch & Act’, meaning that there is a heightened level of threat. Conditions are changing and people need to start taking action now to protect themselves and their property. Residents in the Nandawar, Kybeyan Station, Tuross Gap and Jibolaro areas are advised to prepare for this by activating their Bushfire Survival Plans and moving stock to safe areas such as ploughed or heavily grazed paddocks. People should also be aware that there may be significant smoke in the area, and there may be some restricted access along local roads. Several national parks are also closed due to fires. All walking tracks in all NSW National Parks are closed until at least Monday due to severe fire weather conditions. People are advised to check on park closures prior to travel. Visit www.nationalparks.nsw.gov.au or call the parks line on 1300 361 967. Please contact the RFS Cooma Fire Control Centre on 02 6455 0455 for further information. To report further fire sightings - call 000. I thought I'd have a go at sending you a pic. Here's a nice 6 lb. brown caught at Coppermine just on dark on a floating beetle a couple of weeks back. Popped into your store on Wednesday afternoon and picked up a few leaders, I said I would let you know how the fishing went. 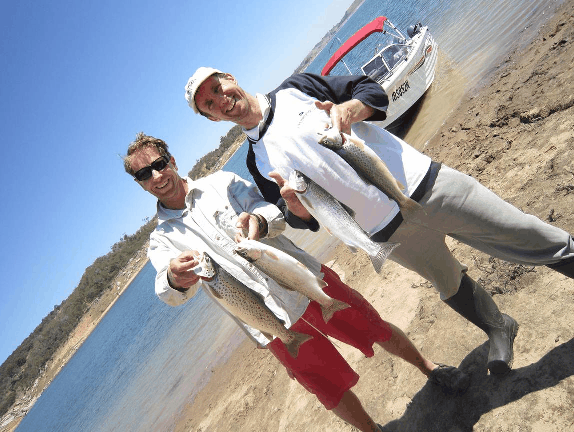 Fly fished Rushies from around 6pm to 12pm and was joined by around 10 like-minded individuals on sunset, all of who were also fly fishing. At about 9.30pm one bloke picked up a fish using a dry fly pattern, and try as I might to hear what the fly was, I couldn’t quit catch it. Shortly after 2 other guys missed takes apparently using the same fly pattern. Then it went dead again. Up until this point I had used a variety of wets and dries, all to no avail. At around 10.30pm I went back to using a cordulid and with my first cast, without any retrieve, it was smashed by a hefty rainbow. Fish landed. 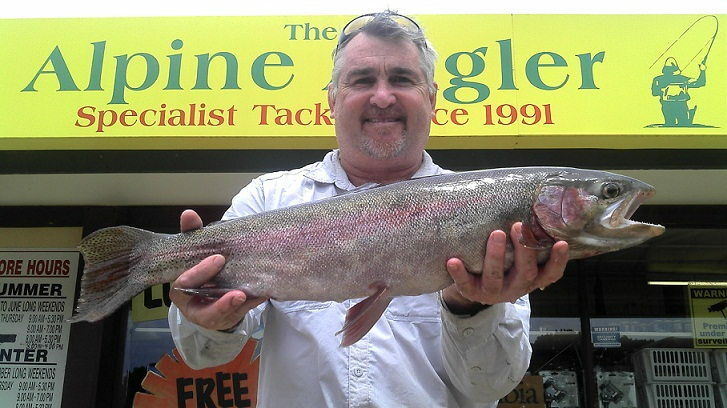 With my next cast, the same cordulid was smashed again by another hefty rainbow. This time it took two short fast retrieves. Thinking I was on a winner I landed the second fish and cast as soon as humanly possible hoping and expecting a third fish! Unfortunately it wasn’t to be, and from what I could hear it was the last bit of fish action for anyone, before I called it a night around 12pm. So the fish are there but they take some effort. See you when the new moon arrives! 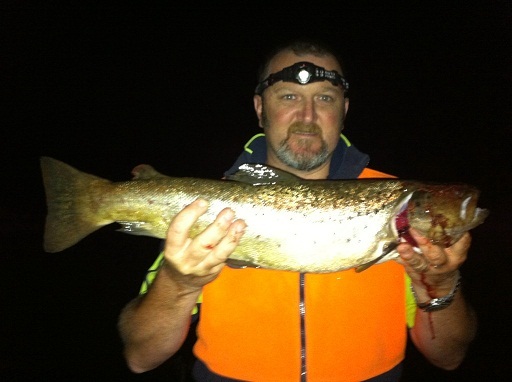 Fished the Buckenderra arm at Euc for a couple of days just before new year. Overall there was a noticeable lull in action with the water dropping around 4 - 6 inches during our stay. Although bait and fly sessions came up trumps, with a little persistence these mates still managed to troll up a brace of browns and bows. 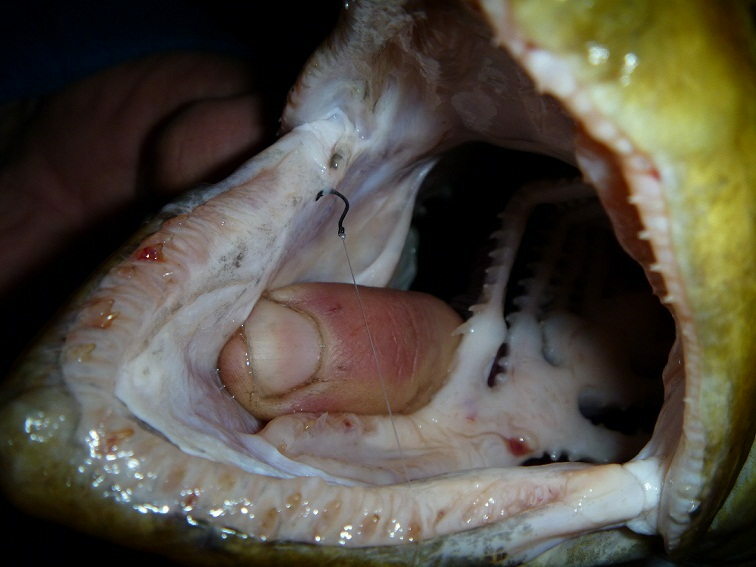 Every fish had dined on spider mudeyes. The brown on the left had gorged on at least 15! No doubt an encouraging sign of the float fishing action to come. 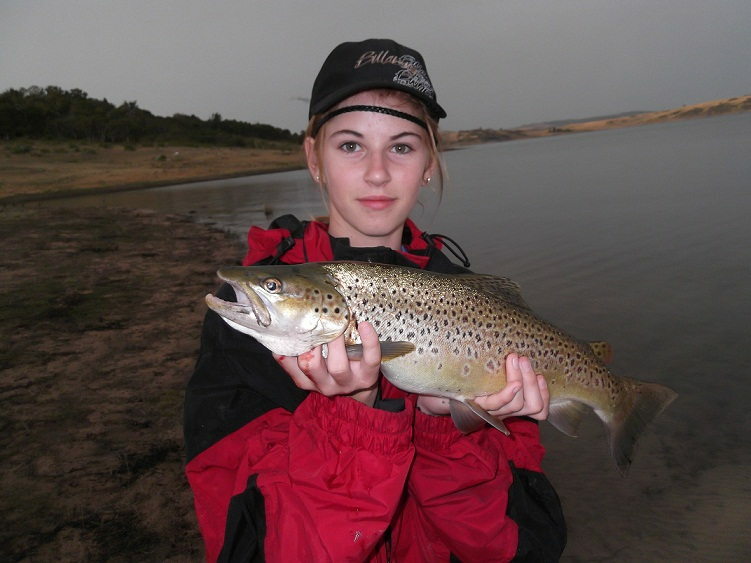 Another nice brown was also caught, but it was dutifully stowed away on ice for one of the wonderful wives! Prost! and happy new year....Gee that Boat must have good brakes!!! 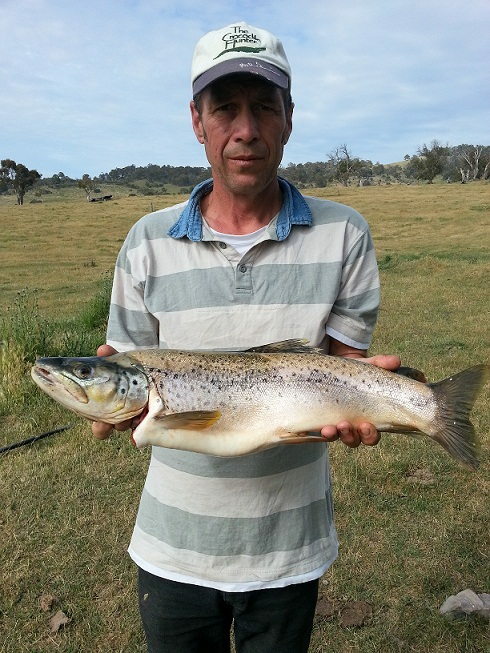 The week leading up to Christmas, Mum and I joined Dad and my two brothers on their annual trout trip. 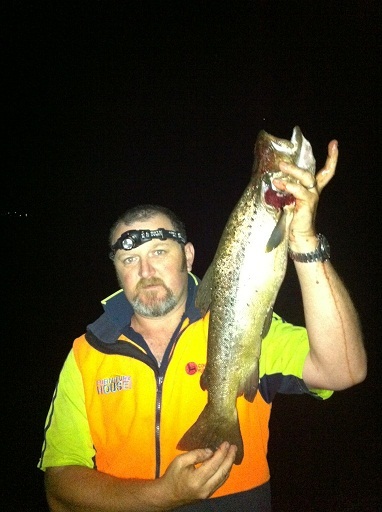 The fishing was a bit tough, with most fish being caught just on dark. The strong winds made it hard for Mum and I to fly fish (we only had one lesson in the backyard prior to going to Buckenderra). On the last two days, Mum and I fished mudeyes under bubble floats and I caught my first trout, a brown of 4 1/2 pounds. I also caught some rainbows and another large brown trout. Mum caught a nice rainbow trout too. As this was mine and Mum's first trout trip, we were very pleased with our results. 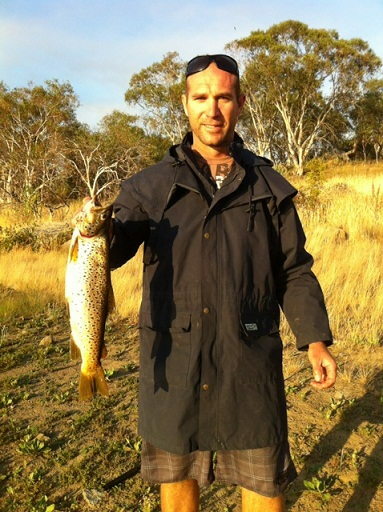 I would like to thank Mick and the staff at The Alpine Angler for all of their help. 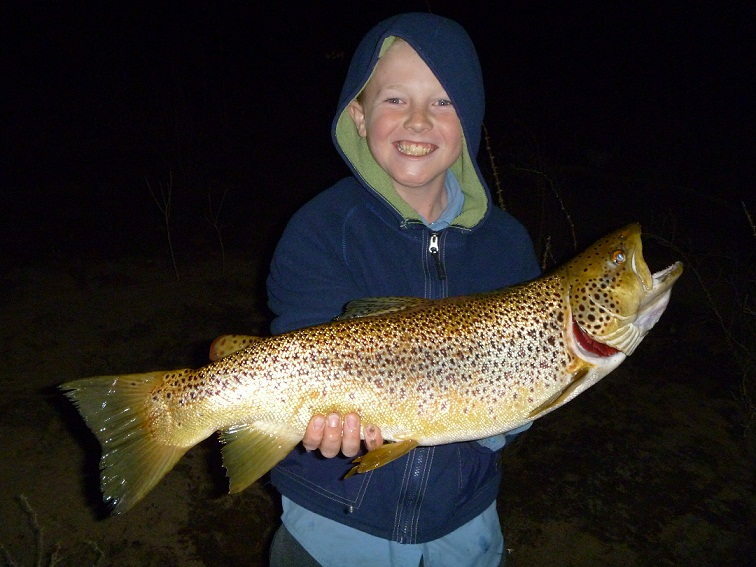 My son Ben caught a magnificent 6lb 3oz Brown trout at Eucumbene on a mudeye in Stockyard bay on the 30th of December just after dark. He was very pleased with himself and on closer inspection, the trout was not hooked by very much, he was very lucky to get it in without pulling the hook! 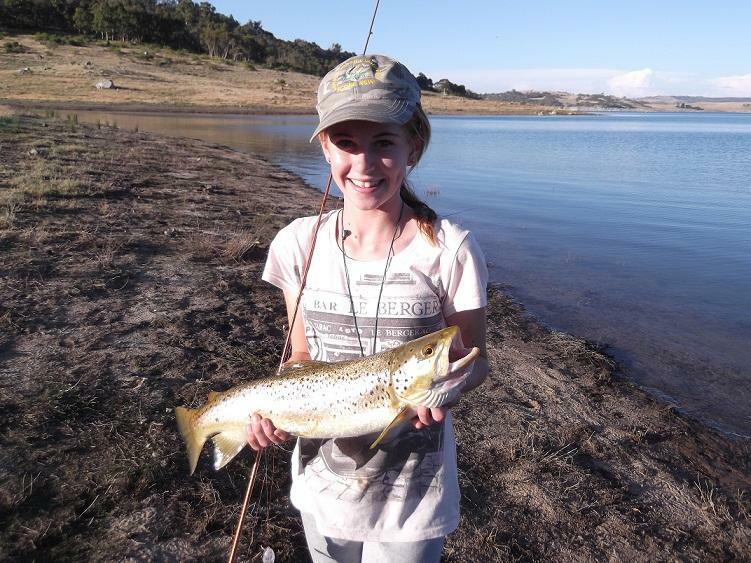 Caught this 50cm brown trout near the dam end on lake jindabyne on new year eve morning just as the sun was coming up,I'd caught it on a worm I brought from your store.